“The Apocalypse” is the theme for the Journal of the Western Mystery Tradition, No 23 Vol 3, Autumnal Equinox 2012, which is now available online. In addition to several interesting articles, including the first of a series of translations of and commentary on writings of the Bavarian Illuminati, there are book reviews for a number of recent publications you may wish to check out. The next two issues will focus on Platonism and Eros, respectively, so you may wish to check out the current submissions guidelines and contribute. The Journal of the Western Mystery Tradition has been working on creating their first conference, and the call for abstracts was just announced. The conference will be a two-day event on July 14-15, 2012 in Milwaukee, WI. You may be interested in attending, presenting and supporting this conference from a venerable online web journal. Find out more on the conference page. “The study of western esoteric practices has risen greatly over the last decade, focusing on Antiquity, the Middle Ages and the Renaissance. Modern magical practices and beliefs, outside of the realm of modern Paganisms and the New Age, have received little attention. Further, practitioners have had little opportunity to present their work, either as papers or in the form of ritual practice, outside of the internet or small groups. The focus of this conference is the movement of contemporary western esotericisms, loosely construed as the “western mysteries,” and their transition from the 20th to the 21st century. The Journal of the Western Mystery Tradition Conference 2012 is seeking abstracts for presentations, panels and practices centered on this broad subject. The Astrological Magic issue of the Journal of the Western Mystery Tradition, is now available online. The next issue has been announced as Demonology, and you can read about the submission process on the journal’s site. You may also be interested in an updated survey about a possible JWMT conference. 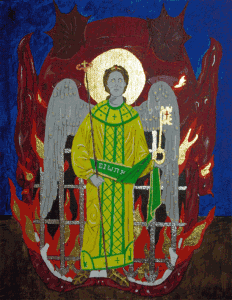 This entry was posted in The Hermetic Library and tagged astrological, conference, demonology, Journal, Journal of the Western Mystery Tradition, western mystery tradition on September 23, 2011 by John Griogair Bell. @Demon_Writer: I’d start a Platonic motorcycle club/gang called the Logoi, except for the not having a motorcycle thing. Or a gang. @hermeticlibrary: My biker gang of dead white guys can beat up your biker gang of dead white guys. @Demon_Writer: Zombie philosophers gang war! I helped grab the twitter for @LogoiMC so no one would squat in before Jeffrey got around to it and turned that over this morning. (I really should have held it hostage for coup! I may be too nice to be the leader of my own gang.) But, now I’m in a pickle. Can’t let this go unanswered. Must represent! 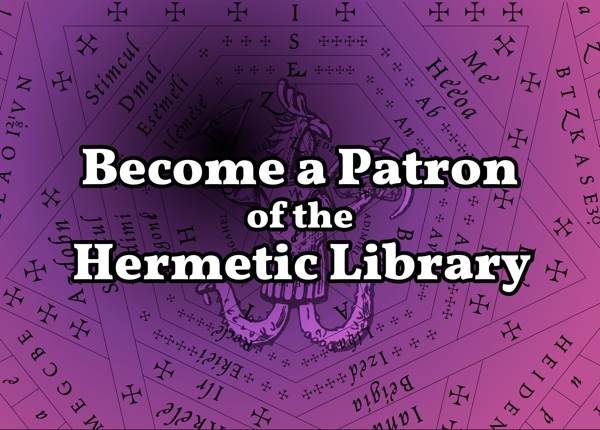 So, what is the motorcycle gang for the Hermetic Library to be called? Shall it be the Pneumatikoi MC? Perhaps the Eleutheroi MC? Then again, what about a Liber OZ inspired Anthropoi MC? οί ελεύθεροι άνθρωποι? Or something else entirely? And, does any one or more people want to take a run at creating a design for the gang’s colours and patches? I’d think seriously about putting Abraxas on a motorbike (on a penny-farthing?!) for this, but I fear it would look like cosplay for George A. Romero’s Knightriders … but, maybe that’s going so far as to come around the other side to being cool again. I like the motto “My biker gang of dead white guys can beat up your biker gang of dead white guys.” But, I’ve also got stickers over in the swag shop with “This machine kills Old, Dead White Guys” which would be perfect for this also. No reason to settle on just one, of course. I have the vaguest memory left over from being in The Orpheum, a specialty music shop, on the north end of Broadway atop Capitol Hill in Seattle, WA back in the 90s. One of the guys that worked there, and I think lived in the house behind the place, had on a leather jacket with a motorcycle club patch on it. I’m pretty sure it was for the Illuminati MC. Did they exist then? Anyhow, that patch immediately caught my eye. When I asked about it, the guy, who I only really knew because I was hanging out in the store regularly, asked if I wanted to join. I thought about it, asked if I’d actually need a motorbike which I didn’t have; and, reflecting on how I’d probably end up killing myself way too easily riding; I declined. I think about that moment every once in a while as a missed opportunity of epic proportions. This entry was posted in The Hermetic Library, The Opinion Pages and tagged anthropoi, eleutheroi, Journal of the Western Mystery Tradition, logoi, motorcycle club, motorcycle gang, philosophers, pneumatikoi, stupid rules, western mystery tradition, white guys, zombie on September 4, 2011 by John Griogair Bell. You may be interested in helping out by providing answers to a survey about a possible Journal of the Western Mystery Tradition [also] conference. Check out the journal if you haven’t before, and consider getting in on the future conference they are planning. 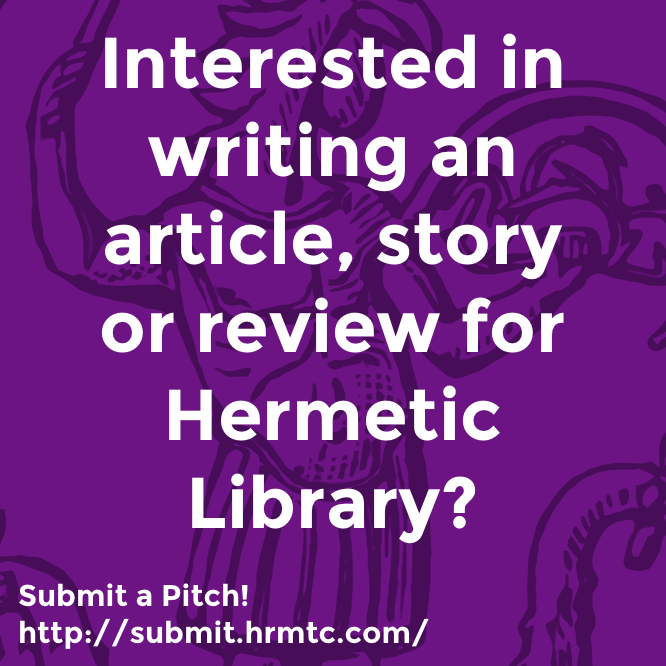 Also, right now the journal is still accepting submissions for their next issue focused on Astrological Magick. 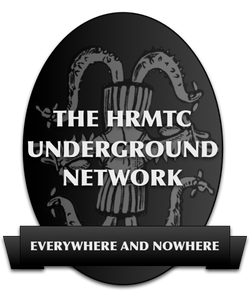 This entry was posted in The Hermetic Library and tagged conference, Journal, Journal of the Western Mystery Tradition, western mystery tradition on August 15, 2011 by John Griogair Bell.